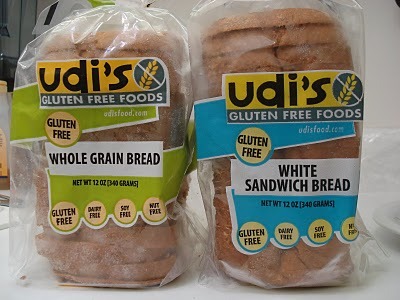 I like to keep whatever kind of gluten free bread we have in the house in the freezer and just take out a couple of slices and put them in the toaster or the waffle iron to warm them up and soften them before making a sandwich. 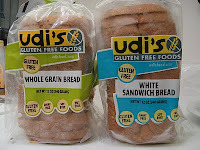 My personal favorite breads right now are Rudi's and Udi's. Rudi's Udi's They both have $1.00 off coupons on their web sites right now. I save the bread crumbs for meatloaf and stuffing. 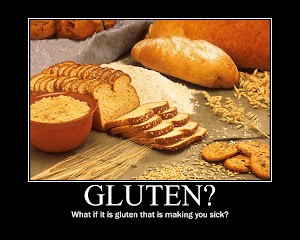 A good thing to keep in the pantry.